Active listening happens when you "listen for meaning". The listener says very little but conveys empathy, acceptance and genuineness. 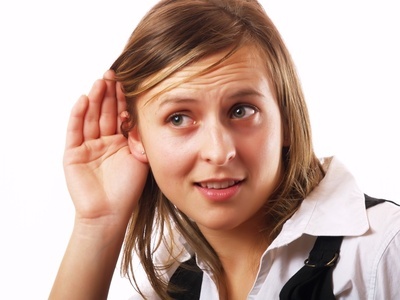 The listener only speaks to find out if a statement (or two or twenty) has been correctly heard and understood. Active listening (link to Introduction to Counselling Skills: Texts and Activities by Richard Nelson-Jones) is hard but rewarding work. It is so tempting to interrupt, so easy to be distracted. 1. Before the session, make sure your physical needs are taken care of (thirst, hunger, bathroom, stretching). 2. Look at the speaker. Taking a few notes can keep you on task; mentally put masking tape across your mouth. 3. Watch your body language! More on this later. 4. Encourage the speaker to continue with short, gentle comments like “uh-huh”, “really! ?”, “tell me more”, etc. If the person is not normally talkative, you may have to refer to your brief one or two word notes and ask an open question. More on this later. Speaker - You are to tell the listener all about something frustrating that happened within the last week or so. For example, being stuck in traffic, the neighbor from hades, etc. Listener - You are not allowed to say anything more than two or three syllables long to keep her/him continuing ie “uh-huh”, really! ?”, “tell me more”, etc. 1. Were you able to keep the conversation going using only encouraging body language and a word or two? 2. Were you able to keep from interjecting? 1. Did you feel you have permission to keep talking? 2. Did you feel heard? You may have found that this felt somewhat fake. Don’t worry – it was a created situation! Be very conscious of how well you listen.